Power metal played with bombastic energy and conviction. 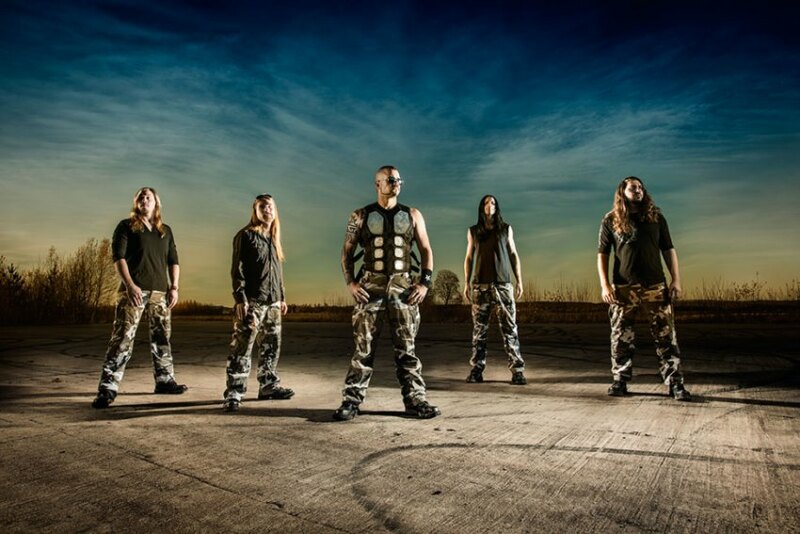 Sabaton are formed in Sweden more than one decade ago since the beginning they play a style of Power metal very well characterized by the powerful and unique voice of their vocalist and leader Joakim, however the Sabaton beginnings were not easy "Metalizer" was recorded during 2002 and is supposed that should be distributed by Underground Symphony as Sabaton album debut, two years passed and they decide to forget that album to find a new record label and they release their own self-financed album "Primo Victoria" in 2005 under the record label Black Lodge, who eventually acquire the rights of "Metalizer" album and release it in the spring of 2007. 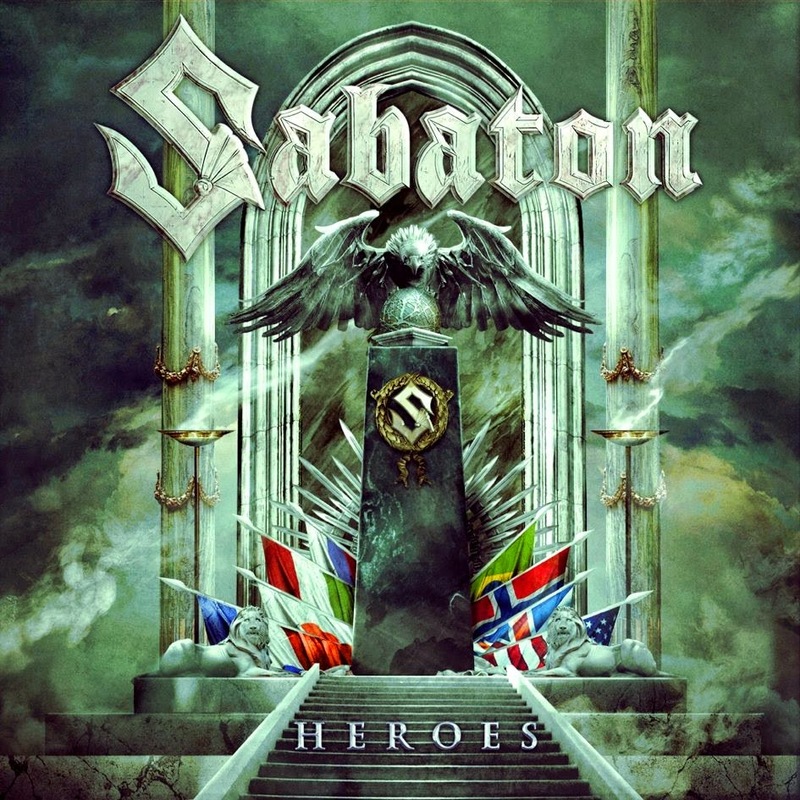 Sabaton released their seventh full length in mid 2014 entitled "Heroes" two years after their split with former members and their acclaimed "Carolux Rex" adding Englund and Rörland as the new guitarists and simply they proved be the perfect fit to Sabaton sound giving a renovated air to their power metal. 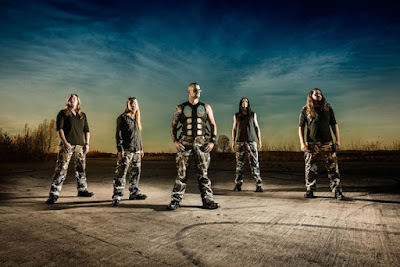 Although it is well known in this genre that has been already written by several bands there is nothing new, but Sabaton plays with a bombastic power, a solid conviction some melodies that catch you, majestic guitar solos, drums are intense, explosive choruses, but the focal point are the lyrics, usually based on themes of war but this time they give a step forward and they introduce us in the trenches, the fields of Nazi extermination and air combat where heroes and heroines were born. The first track is "Night Witches" with an explosive chorus at the beginning is really intense guitars sound crushing, solid (reminds us of this brave Soviet 588 Regiment formed by girls of approximately 20 years of age), then follow "No Bullets Fly" here guitars kept pace by adding a melody that catches you (the story of this song is about a pilot German escorting a B-17 off the range of the artillery) "Smoking Snakes" slightly lower the intensity although choirs are very catchy (here Broden tells us a little bit about the Brazilian Expeditionary Forces invading Italy around 1944) “Inmate 4859” this track of a slow pace with a heavy riff and a memorable guitar solo, (here they speak of Witold Pilecki a Polish soldier a rittmeister of the Polish Cavalry, founder of the Secret Polish Army resistance during the German occupation of Poland during the winter of 1939) "To Hell and Back" with an introduction very unique of the old west and the guitar to rhythm of horses, (honoring Audie L. Murphy one of the soldiers of combat more decorated in the U.S. Army in specific talk about the battle by the beach in Anzio) "The Ballad of Bull" is a ballad that comes to you very deep, a piano introduction that sets the right atmosphere to tell (the story of Leslie "Bull" Allen, an Australian soldier who risks his own life to save twelve American soldiers at the battle of Mount Tambu in 1943) "Resist and Bite" has a catchy tune as a background and the drums at a semi fast pace one of the best tracks of the album (German official history stated that in the 18 days of bitter fighting, the Belgian army were a tough opponent and spoke of the "extraordinary courage" of their soldiers) "Soldier of 3 Armies" begins with a lethal drums solo and a guitar riff is gradually incorporated (this song is based on Lauri Allan Törni who fought under three flags, Finnish, German, against the Soviets in WWII and U.S.) "Far from the Fame" has a good melodic guitar riff and one of the best guitar solos in the album (this song speaks of Karel Janousek after WWII returns to Czechoslovakia, and served in the army, before being imprisoned under the Communist regime) "Hearts of Iron" is a track that really gives you goose-bumps and has the ability to transport you is this historic passage, (12th army made the last attempt by the German army to relieve Adolf Hitler, however; was stopped by superior Soviet Red Army forces, then 12th Army linked to the remnants of the 9th Army decimated of General Theodor Busse they provided a corridor to the West for soldiers and refugees to reach and cross the bridge over the Elbe River partially destroyed and surrender to the American forces between May 4 and May 7, 1945) "7734" is the first bonus track in this limited digibook executing a good power metal with exceptional guitar solos then closing this album is the last bonus track "Man of War" crushing guitars, an epic guitar solo and the drums sound powerful. In summary the production of this album is excellent with powerful guitar riff, bombastic drums and the overwhelming lyrics all well blended with energy, conviction and passion like no other, Without a doubt one of the best Power metal albums from 2014.